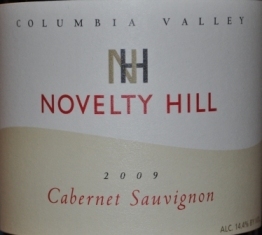 Like previous vintages of this wine, Novelty Hill’s estate vineyard Stillwater Creek is the predominant source for the blend, but Mike Januik also relies on a handful of other top vineyards, including Alder Ridge, Weinbau and Chandler’s Reach, to give the wine added layers and complexity. The wine is composed of 85% Cabernet Sauvignon, 8% Merlot, 4% Cabernet Franc, and 3% Malbec. On the nose I get complex aromas of blackberry, dark chocolate, licorice, black plum, black tea, coffee grind, and hints of cedar. A very seductive bouquet with multiple layers to shed and develop over time in the cellar.